IIT Kanpur introduced me to the emerging field of research in science and engineering, for which I am forever grateful. But the greatest take away for me from IIT Kanpur was the ability to commute on cycle. I believe that we cannot be happy without keeping the people who surround us happy. And cycling became the common point for me and my friends. I got my first pair of wheels in July 2018. Soon after I joined the Audax India cycling club in Pune, we pedalled out to Nilkantheswar Shiva Temple which was about 50 km ride, south west of Pune. I tried to use all the gear combinations I learned from the internet. This most tiring, most gruesome 100 km up and down ride was my point of no return. Despite the pain in my wrists, there was some magic is clearing the milestone. I began seeing the world with a fresh perspective. 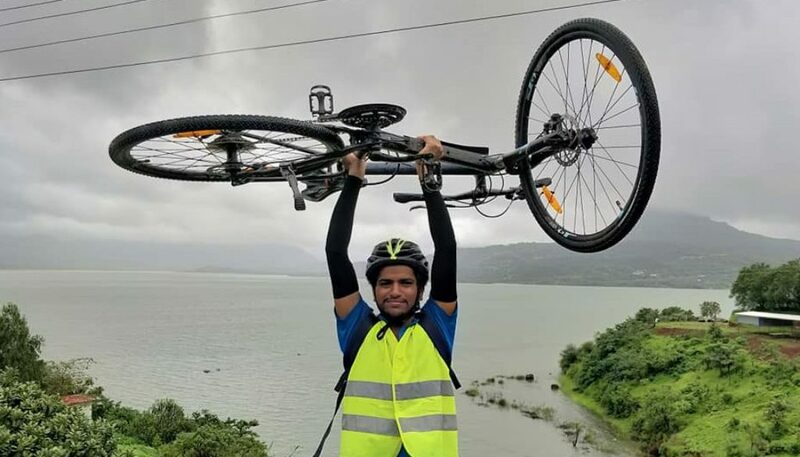 On the whole, it was an amazing learning experience and helped me compute my ability for long distance ultra-cycling. My cycling club introduced me to BRM (Brevet des Randonneurs Mondiaux). Brevets are long-distance, free-paced cycling events originating in Audax Club Parisien (ACP), France as early as 1904. These are multiple events based on the distances like 200, 300, 400, 600, 1000, 1200 and 1400 kms with each having its own cut off times. One is given the Randonneur title if he/she completes the 200 km ride. For long time since then getting that title became my new found dream. 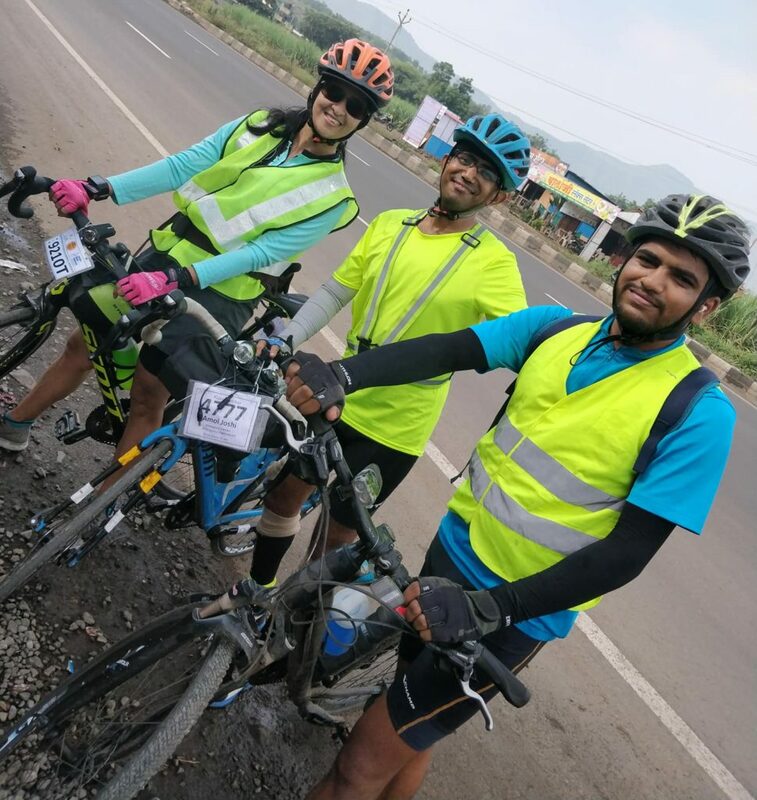 And my dream came true on August 11, 2018 when I cycled from Pune to Satara and back to Pune in less than 13 hours. I became a Randonneur. My happiness knew no bounds, but I was not content. I wanted to be a Super Randonneur completing all the races upto the 600 km mark in the same season. That is easily said than done. To test my physical limits, I ran a full marathon the very next day I got the Randonneur title, which I finished in a decent time of 5 hours 47 minutes. 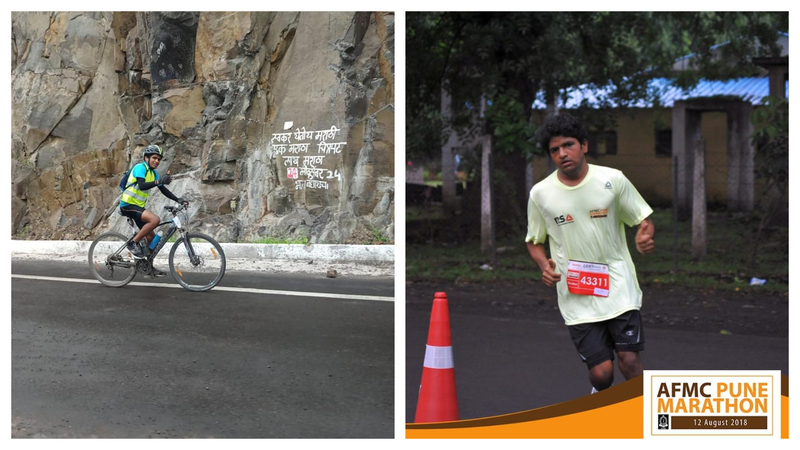 The 300 km BRM was a simple ride from Pune to Varad and back to Pune and I finished it in 15 hours. But the 400 km BRM was an experience to live. 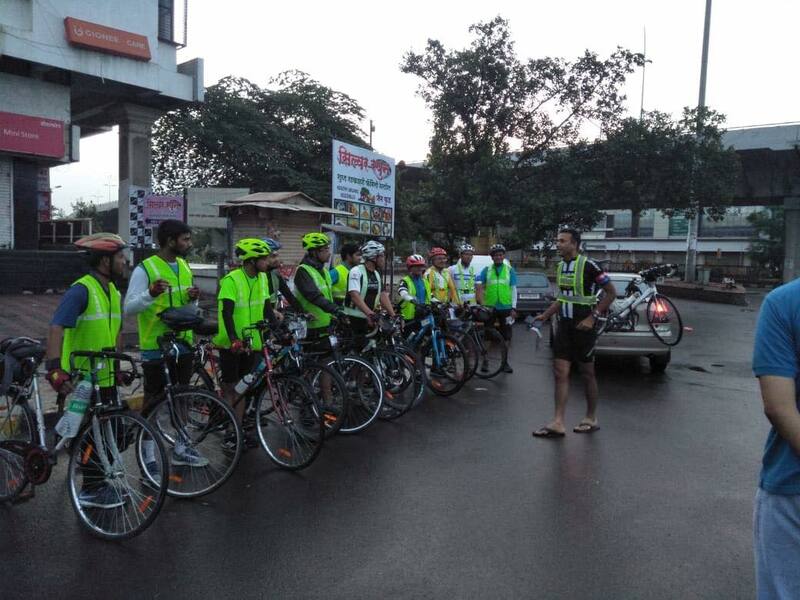 The club chose the Nashik-Vaishind-Nashik-Malegon-Nashik as the route. The challenge was not the distance, but the elevation and the rain. Heavy rains were forecasted for the whole day, but we still went ahead with the plan. With only 5 minutes break for every 100 kms, rains lashing out on the face and huge head winds, my muscles were on the verge on giving up. The last 100 kms was the worst as it was night time and uphill. I did not have enough experience in cycling at night and was not prepared for this excruciating pain. Only the will power and the hunger for finishing motivated me to continue pedalling. I convinced myself that even if I don’t finish in the restricted 27 hours, I want to finish it and not back down in between. To my surprise, with hours left behind, I finished the race. And I could not be more happier. With only one race for my Super Randonneur title I was so pumped. And that day finally came on September 3, 2018. The Pune-Kolhapur-Pune-Lonavala-Pune route was chosen. All the cycling events I undertook was to prepare for this 600 km BRM. This time I was well prepared. But cycling this long doesn’t come without surprises. I ran a flat tire in my last 4 kms. But my crew backed me up, even in those nervous times. 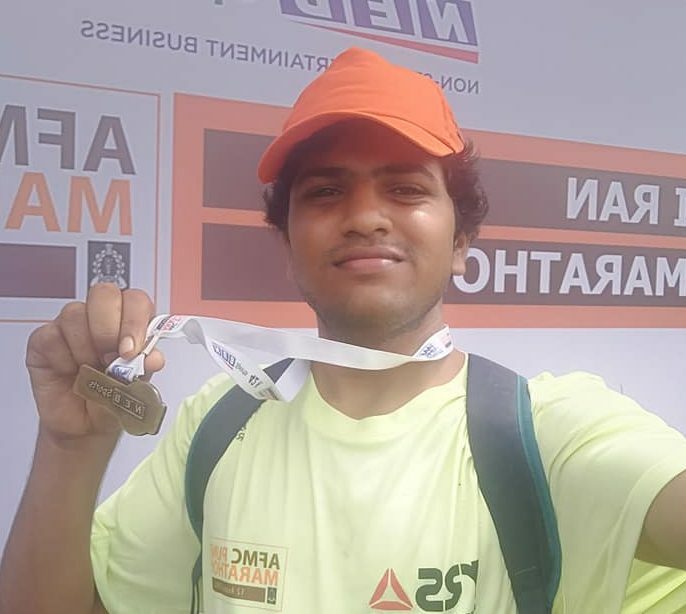 With all the energy and will power, I finished the race 3rd in 23 hours and 58 minutes. The article got published in Times of India. I am currently waiting for my Super Randonneur medal from France. In this ever so competitive world, where you are always surrounded by your work, you need to break away from this monotonous world and find something that would motivate you to live healthily and give you a sense of satisfaction. After all, we only live once. 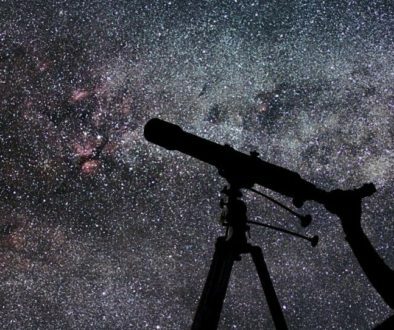 Human wants are unlimited and so are our dreams. One day I want to complete the Race around Austria (2200 km) and Race Across America (4800 km). My dreams will continue to grow and I will not stop until I satisfy each and every one of them. Soban Babu has been my go to response whenever I needed anything in IIT Kanpur. He is an experimental aerospace engineer and an amazing badminton player. He is also an expert in making Ambur Biriyani, a speciality dish from his hometown. He is currently working in TCS, Pune in the Research Development and Design Centre. It is impossible to catch him in the weekends without his cycle. Thank you Kanagaraj for your remarks. Thanks kanagaraj for your kind words. Nice going Soban. This truly is an inspiration for health geeks who are stuck with office work. All the best in ur future cycling events and do well. Keep us all updated. Thanks Balaji. I hope you can also start new journey. I am more into bikes than cycles though I own a MTB and I rarely use it. Being a biker myself I’ve never completed more than 400 kms in a day. It made me wonder how one can complete 300 kms pedalling their way through sweat all day. Then I read a post that said this idiot has completed 600 kms in 23 hrs. That made me realise how one push self and I am planning to take my bicycle for my everyday commute to office. Speaking about soban, with his will power and commitment amidst his busy schedule made him the person he is today.